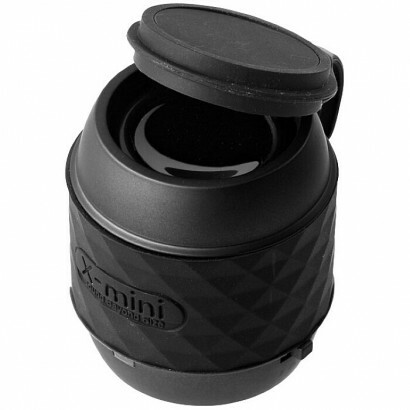 X-mini Capsule Speaker (40mm driver) with built-in radio function. The speaker is capable of remembering the last radio station tuned into. Playback time up to 8 hours. Includes stow-away 3.5mm audio cable incorporated in base and lithium-ion battery rechargeable via USB. Packed in a black X-mini gift box. Exclusive design. ABS Plastic. 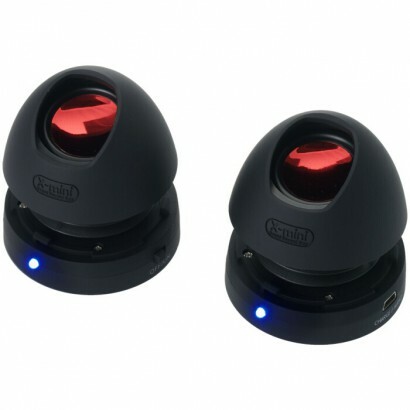 Superb sound, thumbsize portable X-mini speaker with Bluetooth and NFC (Near Field Communication) function. The NFC allows you to pair your NFC enabled device by simply tapping the device to the speaker. Up to 5 hours playtime. Incl. lanyard, cable organiser and X-mini gift box. Exclusive design. ABS Plastic. 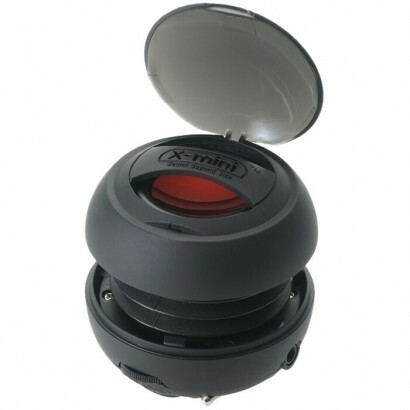 X-mini ME mono speaker. 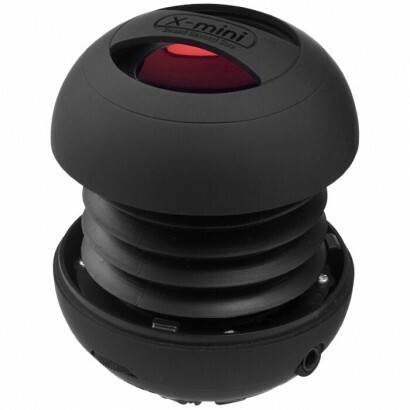 Superb sound, thumbsize portable X-mini speaker with up to 6 hours playtime. Incl. lanyard, cable organiser and X-mini gift box. Exclusive design. Plastic & Silicon. 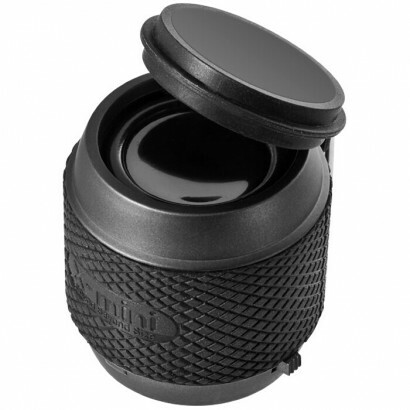 The X-mini portable capsule speaker with 36mm driver delivers an amazing sound quality with a playtime up to 6 hours. 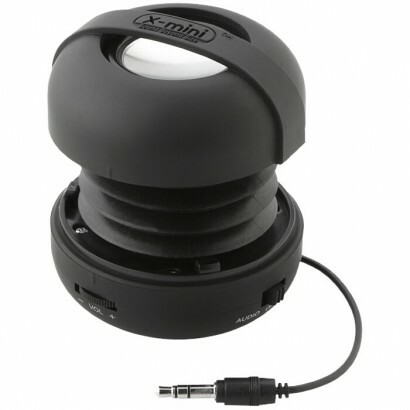 Includes stow-away 3.5mm audio cable incorporated in base and lithium-ion battery rechargeable via USB. Packed in a black X-mini gift box. Exclusive design. ABS Plastic.